My name is Damjan Mravunac, and you might know me as the composer and sound designer behind Croteam’s old school FPS series Serious Sam and the philosophical puzzle gem The Talos Principle. But, enough about me. The reason I’m writing here today, and not composing music for Serious Sam 4 at this very moment, is quite simple. For the past two years I’ve been working on a digital board game, together with a few friends of mine. The idea was to create something I could play online with (or against!) my friends and not have to worry about reflexes and lag and me not being as fast in FPS games as I was twenty years ago. Enter Battle Bolts. It’s a video game with a board game aesthetics, which might look simple at first, but takes some time to master. The basic premise is to fight against your friends in an 8×8 arena, full of stuff that can either help you or set you back. The trick is to program not one but several (in this iteration: 4) commands ahead, and hope you are better at predicting your opponents than they are at predicting you. 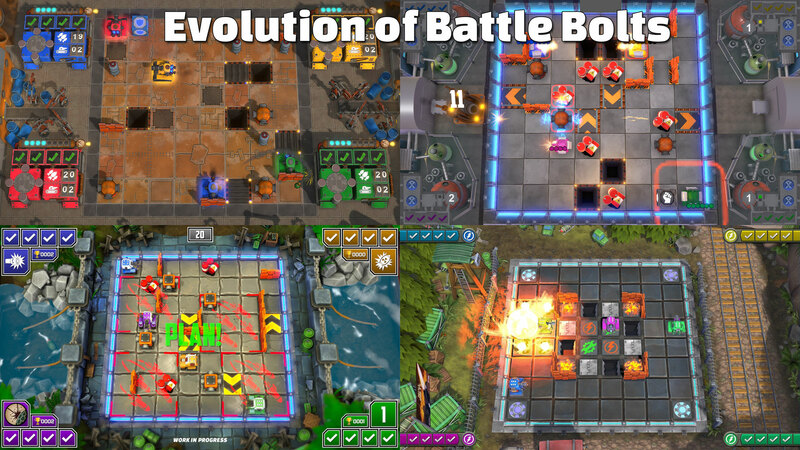 All commands execute at the same time (mostly), and Battle Bolts soon becomes a game of cat and mouse. Except both have four moves to plan ahead. 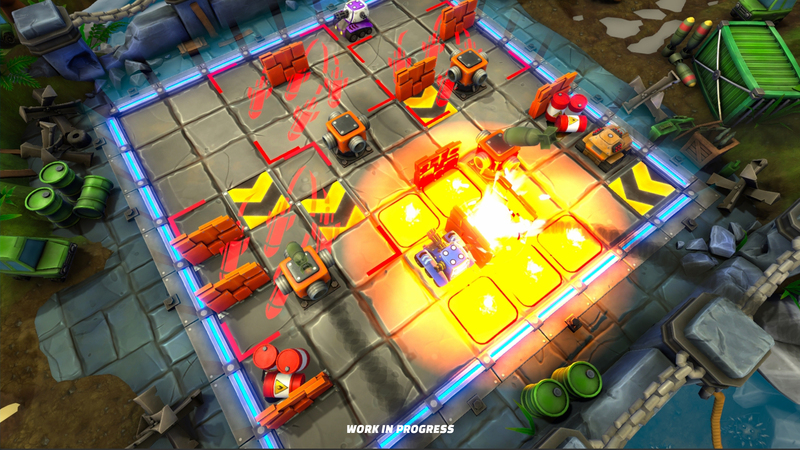 The game went through several iterations and was showcased at both local and international gaming shows. Seeing how much fun people had with it, we decided to show and share one of those earlier versions on itch.io and gather your thoughts. It’s a bit rough around the edges, but basic movement and combat mechanics are here and will be preserved in the full version, which we plan to launch via Steam Early Access on March 25th, 2019. For the best experience, grab 3 friends, 4 controllers and 4 beers (if you are of legal age to buy beer, of course). You can play against bots, but mind that AI leaves a lot to be desired, so real people are your best option! The game changed a lot from the initial idea, and we had many iterations trying to make everything feel and play right, as you can see in pictures. Full version will differ from this one (hopefully all changes will complement to a better experience), some things have been changed, some have been replaced, but in its essence, core gameplay will be very similar to this one. 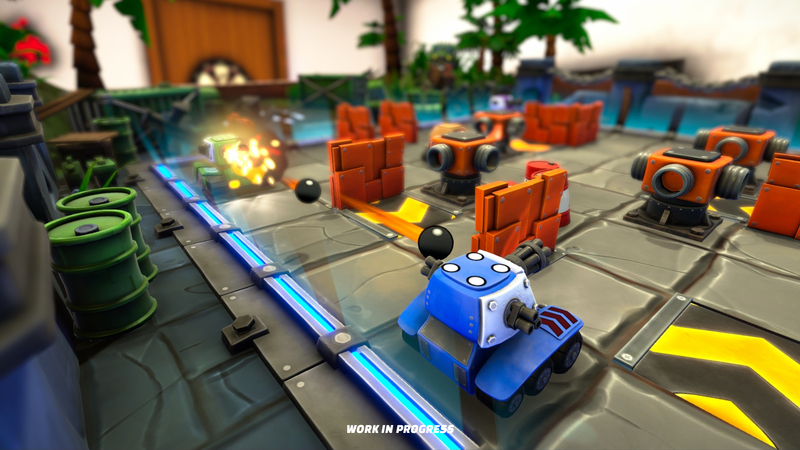 In short – have fun with this early prototype of Battle Bolts and don’t forget to check our Steam page for updates and news! Copyright © 2019 Croteam and Shot Second. All rights reserved.